When it comes to commercial steel, including steel for commercial and office furniture, PMI will cut your sheets to specific sizes to reduce your scrap and overall costs. We will ensure your pieces are burr free to ensure your consumers safety, and best represent your brand. We are ISO certified to ensure we provide you with products that meet your quality and turnaround requirements. PMI has the tooling available to create precise punch shapes and patterns to exactly fit your specifications for your commercial steel, or our skilled operators can use some of our ready-made punch shapes and patterns, depending on your project requirements. Our employees will work with you to determine the best path to complete your project. We know the materials you choose to manufacture your products with are a reflection of your brand. PMI uses a sharp-edge test to ensure the pieces you use are burr free. You can rest assured knowing your end-user will stay free of cuts or scrapes, by using perfectly smooth pieces from PMI. 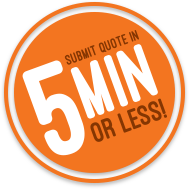 You have a large amount of orders that need to get done quickly. PMI has proven sharp-edge testing that is reliable and assures you receive your parts as they should be. Our shipping and receiving department operates at least 80 hours/week, allowing large orders to get packed and shipped as soon as it is off the line. Save Time as a PMI Partner. We can integrate with your production and inventory systems to ship your parts when needed, streamline your flow, and meet PPAP requirements.